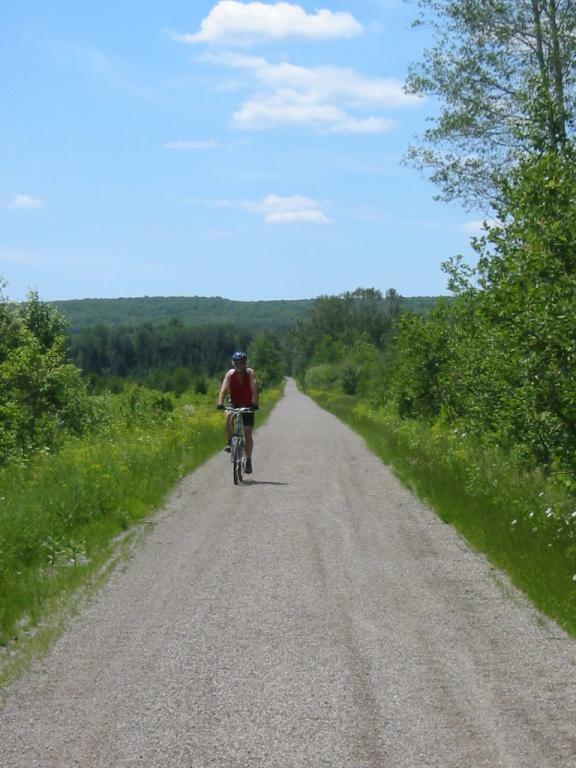 62 mile rail-trail of crushed limestone stretching from Gaylord to Mackinaw City. This beautiful 61 mile trail has become one of the premier cycling trails in the Midwest. Its flat terrain makes for easy bicycling through an area of great and diverse natural beauty. Highlights include the valley of the Sturgeon River and its tributaries and the section north of Topinabee along the west side of Mullet Lake. The trail towns of Gaylord, Mackinaw City, Vanderbilt, Wolverine, Indian River, Topinabee, and Cheboygan also offer plenty of amenities. In 2008 the trail was named as one of the top five autumn destinations in the nation by Rails to Trails Conservancy. In 2011, the trail was named as the Best Example of Michigan's Trail System!